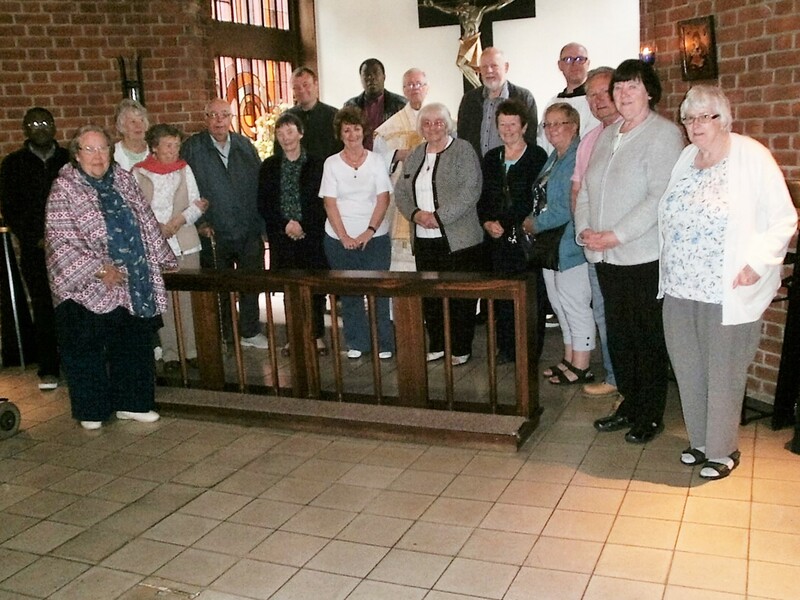 In a combined parish pilgrimage with parishioners from the Ascension in Salford, it has been our long practice to hold an Annual Pilgrimage to the Shrine of Our Lady of Walsingham. This is a popular visit and both an enjoyable and spiritually enriching experience. Monday 6th June – 9.00am we assembled at St Hilda’s for Mass. We were the usual mixed group, comprising parishioners from St Hilda’s, the Ascension and our friends Keith and Mary Hanrahan. A problem! Keith and Mary, who come from Boothstown phoned to say that they were stuck in a traffic jam. They decided that, rather than hold us up, when the road was clear to go straight off. The rest of us set off, following a blessing from Fr Croft, in five cars, wishing each other a safe and incident free journey. We all arrived safely apart from Warren, the windscreen of his hire-car was cracked by a stone thrown up by a lorry. Tuesday – 8.15am Mass in the Holy House followed by breakfast. We then traced the Stations of the Cross through the grounds, led by Fr Croft. Fortunately the weather was kind. Then a group set off to visit the RC shrine at the Slipper Chapel, some by car while Joe and Chris went on foot. In the evening all the pilgrims gathered in the church for a service of Healing and Reconciliation with Sprinkling at the Well. There was concern when a man from another group collapsed but luckily, although he had to go to hospital overnight, he was fine. Wednesday – 11.00 am the Pilgrim Mass in the church. This event is so popular that seats have to be claimed very early – a hard time! In the afternoon we dispersed to various locations in Norfolk. The main event of the evening was the Procession of Our Lady followed by Benediction. A prayerful and joyful event as we accompanied the Statue of Our Lady round the grounds singing her praises and raising our candles in salute of her name. Thursday – Mass in the Guild of All Souls’ Chapel and then after breakfast a last visit to the shrine and back on the road. An enjoyable and spiritually refreshing few days. As well as Walsingham we also make an annual parish visit to the ancient Shrine of Ladyewell in central Lancashire.